See what my clients have to say about their Buying and Selling experience with me. When choosing a Real Estate Professional, what better way of getting to know them than from recent Clients! I consider the satisfaction of my clients to be one of my number one priorities. Below you will find reviews from some of my recent clients. Trish is an excellent sales Agent - very efficient, very knowledgeable and ultimately gave me the right information to make my sales decision. Trish and her partner Tanis did an incredible job of making the sale of our condo in Kelowna as smooth and simple as possible, while we were living in Edmonton! They were easy to communicate with, professional did an excellent job of advertising the condo, timely, and went above and beyond. They helped with sales of our furniture, organising cleaners and a locksmith, and even picked me up from the airport! A++ for this team. Highly recommend! And of course, most importantly, they got us a great sale price within a short period of time after listing. Thank you both so much! Sale of Quail Ridge Condo. Trish has been selling in this area for many years.We have confidence in using her services. (Quail Ridge). Condo Sale - Quail Ridge. Trish has helped my family and friends for the past couple years and she makes the process as smooth as possible. She is willing to work around with your schedule and keeps you up to date with the listings. My boyfriend and I purchased our first home together early 2017 which we knew nothing about. We definitely have Trish to thank us for helping us find our perfect home :) I'd recommend Trish to anyone who is looking for real estate in Kelowna. 1st Time buyers - Purchase North Glenmore. Trish Cenci has been our go-to agent in Kelowna here in the Okanagan Valley of British Columbia for a number of years. In each of our selling and purchasing activities, Trish has accurately interpreted our needs. She has been right on with assisting us in evaluating the correct selling price to meet what we were trying to accomplish in the marketplace. Her understanding of both our short-term requirements and our long-term goals with very competent research of the market at that time assisted us in achieving those goals. We have always been impressed with the attention to detail and the expeditious transfer of information to us that has allowed us to act and acquire the property that was a perfect fit for us. That sense of expediency has never put us into a bidding war that would put us at a disadvantage. Trish has always had our best interest at the heart of every transaction. Her negotiating skills combined with a knowledge of the competition has allowed us to receive the highest benefits from our hard earned investments and acquire the next project and home at the right price. Trish Cenci brings a personality to your day that is uplifting and endearing. We highly recommend her services to anyone that is desiring a professional and pleasurable seller and/or purchasing experience. Various Purchases & Sales Lower Mission & Kelowna. Trish was my agent on a previous purchase and I remained with her for over 10 years. On both purchases, she went above and beyond. In the first purchase, she entertained my ideas late at nite and secured the property I wanted in a tough market. Upon selling that first property she again went further than most agents would in trying to get the sale completed. In my most recent purchase, my husband has commented numerous times that Trish really stuck to it and went above and beyond. We were really disappointed in the seller's realtor so Trish had to work very hard to make sure things on both sides were getting done. She also had excellent mortgage referrals and was tirelessly showing us properties until we found the right one. We decided to take on the daunting idea of investing in Kelowna all the way from Brisbane, Australia. Our son was starting college at UBCO in 2 months time and investing looked like the best option. We replied to a couple of ads online and Trish replied to an advert we had seen in Quail Ridge straight away. Trish not only gave advice on the property but was a wealth of information on what we were going to be required to do purchasing from outside of the country. We signed Trish up, she arranged and she looked at multiple properties for us. Arranging a time that she could face-time us whilst she was there and organising a time that worked out with the time difference in Australia. When we found the right property Trish was on top of it all. We would wake to daily email updates and a lot of facetime calls as well. Nothing was too hard for Trish and she made making the purchase a breeze. My husband had to fly there to sign the bank paperwork (unfortunately couldn't get out of that one) but Trish was there to meet him at the airport and she had arranged her day to help him get to the places he required to be to finalise the settlement. A big thank you to Trish, we couldn't have done it this easy without you. Highly professional at all times and very approachable. I would not hesitate in the least to recommend Trish and Tanis. Kind regards and thank you for all that you have done! Purchase Quail Ridge Kelowna - Son attending UBCO. Thank you for your excellent service and smart advice and for all you did for us since we bought this Quail Ridge Condo Ten Years ago! - May 2017. Condo Purchase & Sale Quail Ridge Kelowna. We valued Trish's expertise in the area and also her advice and counsel in the negotiation process. Lot Sale - Quail Ridge Kelowna. Trish took our listing on under very challenging circumstances and was very patient throughout. We very much appreciated her going above and beyond. Condo Sale Quail Ridge Kelowna. "I should thank Trish for all her efforts in the process of buying a condo. She was an excellent, professional, and knowledgeable Realtor! Even though we are not familiar with the Canadian system, she helped us a lot without hesitation.We would like to highly recommend her to anyone who wants to buy or sell the house. She could not be better! We were very happy with Trish and Tanis!! We never forget her. Thanks again!!!" J’ai récemment fait l’achat d’une maison à Kelowna en Colombie-Britannique et fait appel à l’aide de Trish Cenci comme agente immobilière. Pour établir un contexte, j’ai fait l’achat à distance, d’une autre province canadienne. C’est également mon premier achat d’habitation à vie. Je n’ai seulement eu qu’à visiter Kelowna à trois reprises au cours du processus d’achat, mais ces voyages auraient pu être limités à un seul voyage préalable à l’échange de titres. Trish a été d’une très grande aide. Elle s’est montrée disponible dès mon premier appel où je lui ai fait la demande de la rencontrer dans un délai de quelques heures. Elle a été en mesure de me faire une tournée guidée des propriétés satisfaisants mes critères et n’a pas insisté sur ses propriétés à vendre. Elle a pris soin de m’informer des quartiers les plus désirables ainsi que de la géographie de Kelowna. Elle a aussi été très patiente avec mes interrogations de premier acheteur. Je n’ai malheureusement pas trouvé de propriété me satisfaisant entièrement à ma première visite. Trish a poursuivi son aide en envoyant régulièrement des courriels affichant des propriétés correspondant à mes critères. Après peu de temps, une propriété a été affichée qui correspondait parfaitement à mes critères. Trish s’est rapidement dirigée sur les lieux de la propriété et m’a fait une visite virtuelle par Skype. À ce moment, Trish et moi avons décidé de faire une offre d’achat conditionnelle à ma visite en personne. Tout au cours de cette deuxième visite, Trish a été très accommodante. Elle a offert de me ramasser à l’aéroport, a pris soin de me laisser faire la visite sans pression et a très bien négocié avec sa collègue agente immobilière en regard des détails de l’achat. Ma troisième visite à Kelowna a eu pour but de faire l’inspection de la maison pour s’assurer qu’elle avait été construite avec les ajouts entendus et qu’il n’y avait pas de défaut dans la construction. Trish a offert de me représenter pour cette visite pour m’éviter un troisième voyage. J’ai bien apprécié son offre, mais je voulais voir la maison pour moi-même. Elle a insisté d’être présente pour mon inspection et a encore une fois été très accommodante. Elle a démontré son expérience pendant l’inspection en identifiant et insistant sur de subtils défauts qui m’avaient échappés. Bref, je suis entièrement satisfait du travail et service de Trish et la recommande sans réserve. Elle est polie, accommodante, amiable et, surtout, elle sait défendre respectueusement les intérêts de ses clients. Thanks, again, for everything. You’ve been fabulous and we’ll definitely recommend you to anyone looking in the area. 1st Time Buyer Purchased in Glenmore Area - relocating. Thank you again for all your help with this transaction. You have gone above and beyond. I would recommend you and your team to anyone! I know that in my business great service goes a long way and you obviously provide the same. If I ever purchase again in Kelowna I know where to go! Purchase - Quail Ridge Kelowna. Trish was awesome. Very helpful & had lots of Info for us. We recently sold our Quail Ridge Condo through Trish Cenci. From start to finish we felt like we were in such good hands and really appreciated the professional and personal service Trish gave us. She was always very helpful, knowledgeable and accommodating, and went above and beyond our expectations. We wouldn't hesitate to recommend Trish to anyone needing a realtor in the Kelowna area. Thanks Trish for making this such a pleasant and stress-free experience. Thank you so much for all your help in this process. You gave us good advice, and were so helpful. You gave us good advice about location, and that was particularly helpful since we are from out of town. Thank you also for always answering all of our questions so promptly. That took so much stress out of the process. We would be happy to recommend you to anyone who asked! And when the time comes to sell this unit, you will be the first person we call. Trish was my real estate agent and worked very hard to sell my property given a downslide in the market. She was very patient with me being slow getting my paperwork in and very fair. She kept me updated in a timely fashion, and puts her heart and soul into her work. I highly recommend Trish for your next real estate purchase or sale. Sale - Condo Quail Ridge Kelowna. From Beginning to end our Real Estate Connection with you left nothing to be desired. We have never experienced such dedication & professionalism, in earlier real estate transactions. It was a great relief & helped greatly with the turmoil involved in relocating. We now feel we acquired a good friend. No one will have to ask us twice for the name of an excellent Realtor. Purchase - Retiring to Lake Country. I logged onto the Internet seeking a professional real estate agent to assist us with accommodation in Kelowna close to the UBC Okanagan campus as my daughter would be attending the university for the next three years. When I received Trish’s response to my email and then a follow-up phone call, I was so impressed with the information she provided me with. We later met with Trish and instantly felt like we were in good hands. Ultimately, Trish found us the perfect place to purchase. As we are from the lower mainland, we relied heavily on Trish to assist us with a lot of different issues, all of which she did without hesitation. We would recommend Trish to anyone looking for a personable, professional real estate agent in the Kelowna and surrounding areas. We were very pleased with the level of service we received from Trish. Given that we were not located in Kelowna we felt the follow-up, updates and communication provided kept us always informed of the progress of the listing and selling process. Your professionalism, expertise and superior service were much appreciated. Selling - Condo Quail Ridge Kelowna. We were so lucky to have found a realtor like Trish! 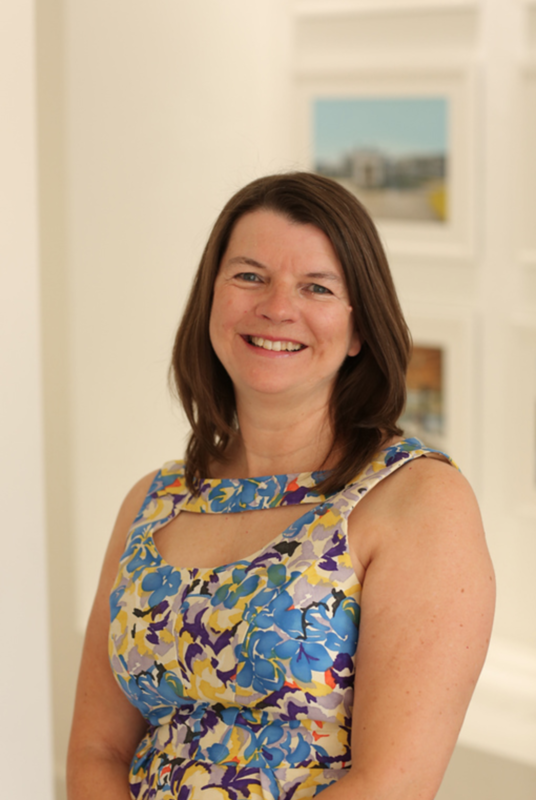 Our deal had some ups and downs and Trish's calm nature, professionalism and dedication kept everything going smoothly. Trish was a delight to work with and we are convinced that we would not have secured our home without having her expertise on our side! Home Purchase - Quail Ridge Kelowna. Trish from the moment we first met, your friendly, personal and the homegrown feeling of your business leaves a great impression. We were so pleased with your support, guidance, and attention to detail over the time it took to sell our condo. Even though we were 400 kms away, we had complete trust that you would move our property for us. Investment Condo Sale - Quail Ridge Kelowna.